← Ingezonden | Quo vadis? THE HAGUE–The Dutch Minister of Justice and Security has formally been assigned the responsibility of managing and maintaining the special police task force, the Detective Cooperation Team RST in the Dutch Caribbean. 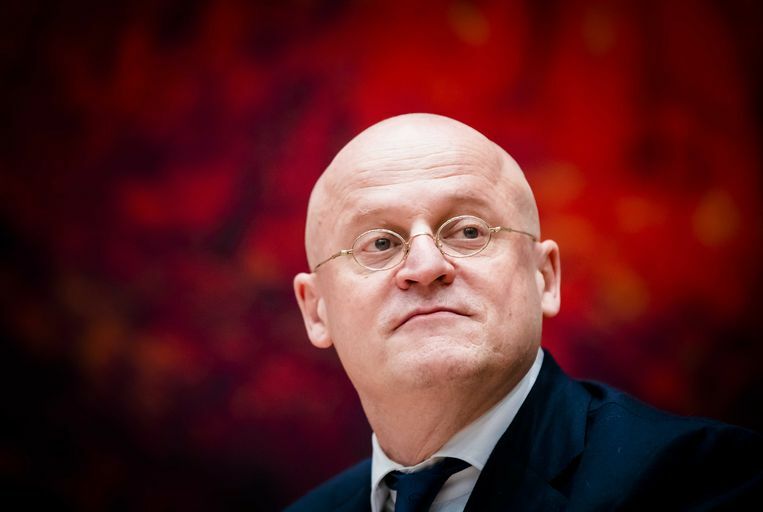 Dutch Minister of Justice and Security Ferd Grapperhaus stated this in a letter he sent to the Second Chamber of the Dutch Parliament on Tuesday. The letter contains detailed information about the adapted protocol regarding specialised detective cooperation between the countries of the Kingdom. The ministers of Justice of the Netherlands, Aruba, Curaçao and St. Maarten signed the protocol in Aruba on January 23. In his role as formal manager of RST, Minister Grapperhaus announced he will ascertain the draft management plan, the draft budget, the multi-annual planning, the annual report and the financial accountability of the RST. In order to execute an adequate management of RST, the chief of police of the National Police in the Netherlands will be in charge of managing and maintenance of RST. The chief of police will execute this task by making personnel and means available to RST from his police force and the budget. This will enable the chief of police to increase the operational strength and preserve the Dutch input in RST. To make this possible, the state secretary of Home Affairs and Kingdom Relations will once more make the finances available for the Dutch input in RST from the budget for Kingdom relations. The minister of Justice will make these funds available to the National police as a special contribution. The adapted protocol also enables the Dutch chief of police to work more closely together with the police forces of Aruba, Curaçao and St. Maarten and to support these with expertise and means. The intention to arrive at a new vision for RST, proposed by the College of Chiefs of Police, was confirmed by the four ministers of Justice in January 2018. The argument for a new vision was that crime, more than before, has a transgressing character. This forces the investigation services to seek more regional and international cooperation regarding the input of capacity and specialization. Intensive mutual regional cooperation, invested in by the local chiefs of police, is a central element in the new vision of a stronger detective cooperation, explained Minister Grapperhaus. “Cooperation by sharing expertise and capacity after all strengthens the effectiveness of detective work in the region,” stated the minister. The adapted protocol makes it possible to come to a closer and broader detective cooperation in the area of availability of capacity and expertise to support the detective units of the countries. RST will remain in charge of combating border-crossing and heavy crime in the countries Aruba, Curaçao and St. Maarten, as well as in the Dutch public entities Bonaire, St. Eustatius and Saba. RST will consist of central teams and in each of the countries a local team. The central teams will be available to all countries. The adapted protocol arranges more effective sharing of responsibilities regarding policy and management. The four ministers of Justice will determine the policy in a multi-annual policy plan which will be supervised by the attorneys general of the countries. The ministers of Justice and the minister of Home Affairs and Kingdom Relations once a year will discuss the results of the past year and the next year, as well as the draft management plan, the draft budget, the draft multi-annual plan, the annual report and the financial accountability. Dit bericht werd geplaatst in _Aruba, _Bonaire, _Curacao, _Regio, _Saba & Statia, _Sint Maarten, Curacao Chronicle, Politie & Justitie, Politiek. Bookmark de permalink .